I have never been a huge Fleetwood Mac fan, but at this point I can’t deny that they have helped produce at least part of the soundtrack of my life. Their songs are as classic as they are indelible and have been around as long as I have been listening to music. So when it just happened that Fleetwood Mac (in their current iteration) were playing Toronto while I was here, I thought “what the heck” and I got tickets. The most important elements of the band to me have always been Christine McVie and Stevie Nicks and they are part of the current lineup so all was good. And on this tour the great Neil Finn (of Split Enz and Crowded House) of whom I am big fan has joined. But alas, just as I was getting ready to head to the show last night – I was alerted that the concert was cancelled. It seems as Ms. Nicks has the flu. Which means the show will be rescheduled – likely in the fall. Bummer, I was looking forward to a fun night of classic rock and memories while on my visit to Toronto. 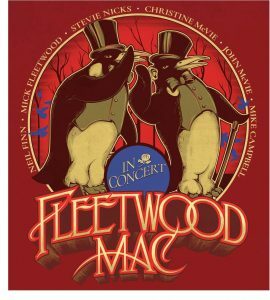 Fleetwood Mac continues their North American tour through April 15 (maybe) – and take on Europe and Australia this summer. In the mix of things I love are interesting bicycle photos, Charles Dickens and English. 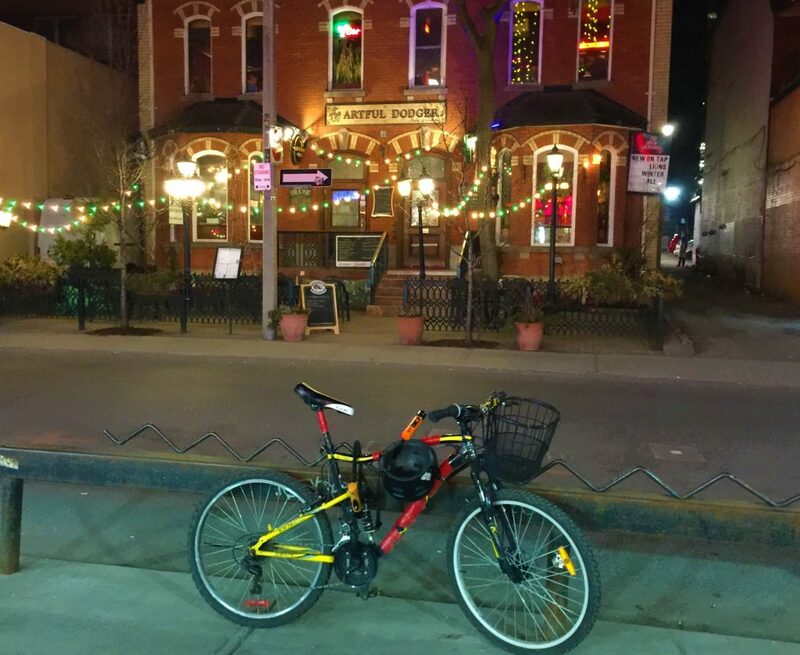 I hit the trifecta on my first night in Toronto when I came upon the sight below: The Artful Dodger Pub. The Artful Dodger Pub is located at 10 Isabella Street in Toronto just of the Bloor-Yorkville district. Try the Scotch Egg and the Dickens Club Sandwich. Lost Cowboy is powered by	WordPress 5.0.4 and delivered to you in 0.895 seconds using 42 queries.